How to make the best Guacamole every time. 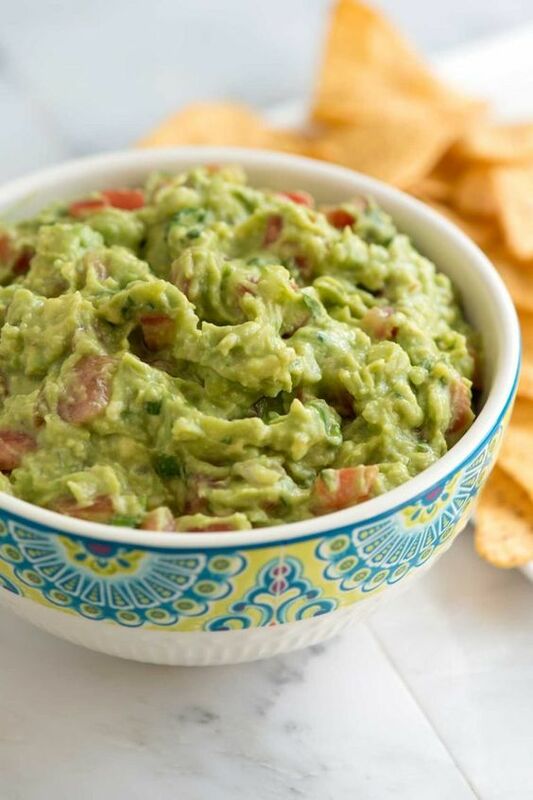 Jump to the Guacamole Recipe or watch our quick recipe video showing you how to make it. For the best guacamole, you will need ripe avocados. You’ll know when an avocado is ripe when it gives just slightly when squeezed. Keep unripe avocados at room temperature until they are ready. For more about how to buy, cut and store avocados see our tutorial. Try not to over mash or puree avocados when making guacamole. You want a chunky avocado dip, not smooth. Add diced onion to a small bowl then cover with warm water, set aside. This “de-flames” the onions, making them less intense. Cut avocados in half, lengthwise and use a spoon to scoop out the seed. Scoop out the flesh and add to a bowl. Serve immediately or cover with plastic wrap by pushing the plastic wrap down onto the guacamole and refrigerate up to one day. 0 Response to "Easy Homemade Guacamole Recipe"